← Live It. Love It. Budapest! November is a time to remember those who have gone before. 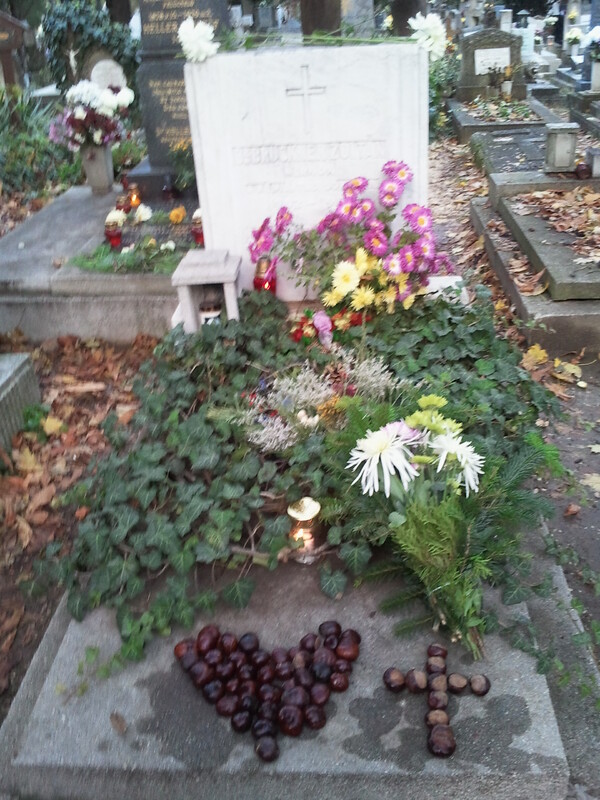 In Hungary, families visit cemeteries, leave wreaths and flowers, light candles and talk about loved ones they’ve lost. For me, it’s a time to think about Hungarians whose lives were lived in the shadow of war, fascism, communism or poverty, and I am once again grateful to have grown up in peace, freedom and prosperity. My husband and I visited his family gravesite earlier this month with our children, who made a wreath of chestnuts for their great-grandma. 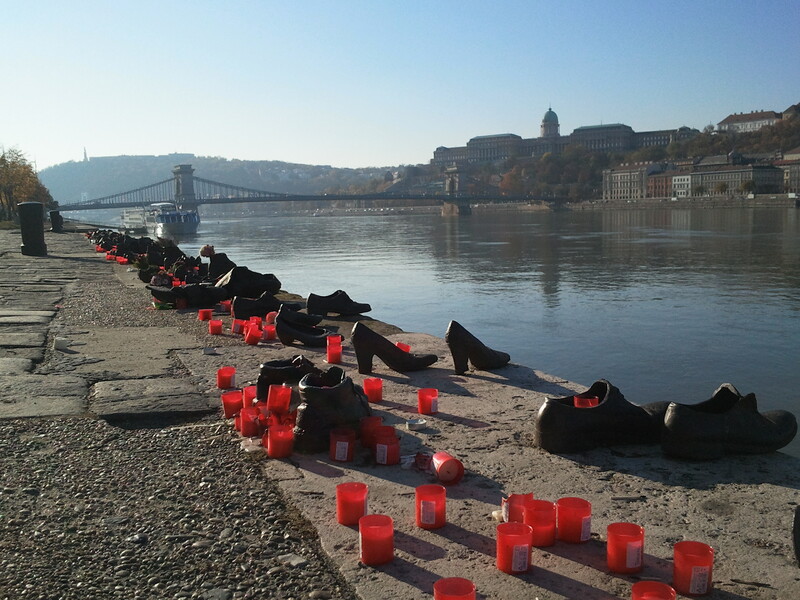 Yesterday, I finally visited one of the most moving sights in Budapest: the array of shoes on the Danube bank, in memory of those who were shot into the river during the fascist regime toward the end of World War II. Why shoes? Because they were asked to remove them, shoes being valuable commodities. I thought of these people, and all those I never had the privilege to know, as I looked at the shoes. I marveled at the number of candles and flowers that had been placed there. Then I saw one tiny child’s shoe that seemed to have a note in it. It said, in English, “Take me!” and was clothespinned to a red heart made of felt. I opened the note, and inside, it said “All you need is love.” I put it back in the shoe for others to enjoy. The fall sunlight warmed my face and I was grateful to be alive, and grateful to have known some extraordinary people, whose stories I cherish and hope to share. 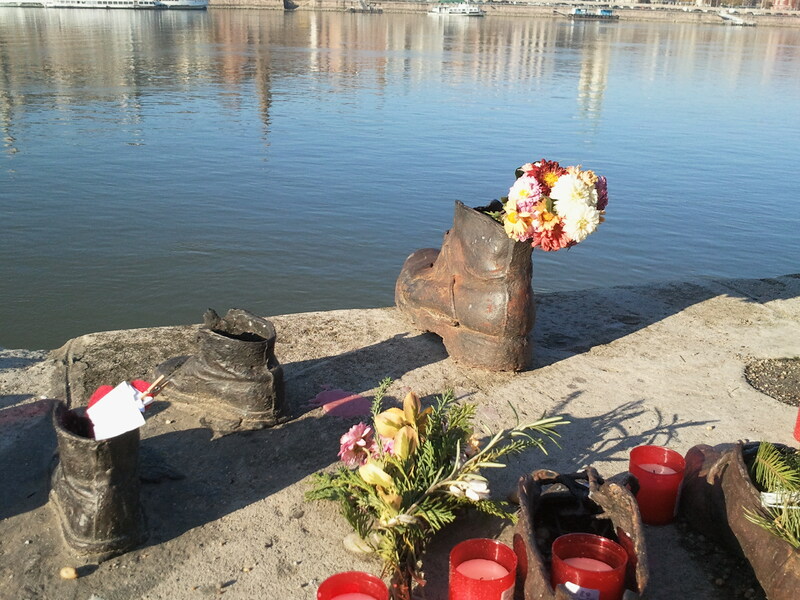 For more information about the Shoes on the Danube Promenade memorial, see http://en.wikipedia.org/wiki/Shoes_on_the_Danube_Promenade. For my collection of photos of the memorial, visit my Facebook page at https://www.facebook.com/AdriKnows. 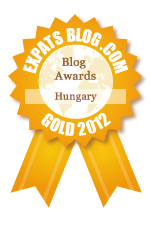 One day, people looking for tips on life in Budapest started coming to me. Friends, then friends of friends, and so on. People were telling newcomers and longtime Budapesters alike, “Adri knows!” Now it’s time to share what I’ve picked up over more than a decade of fun-and-frequently-frazzled family life in the big BP. 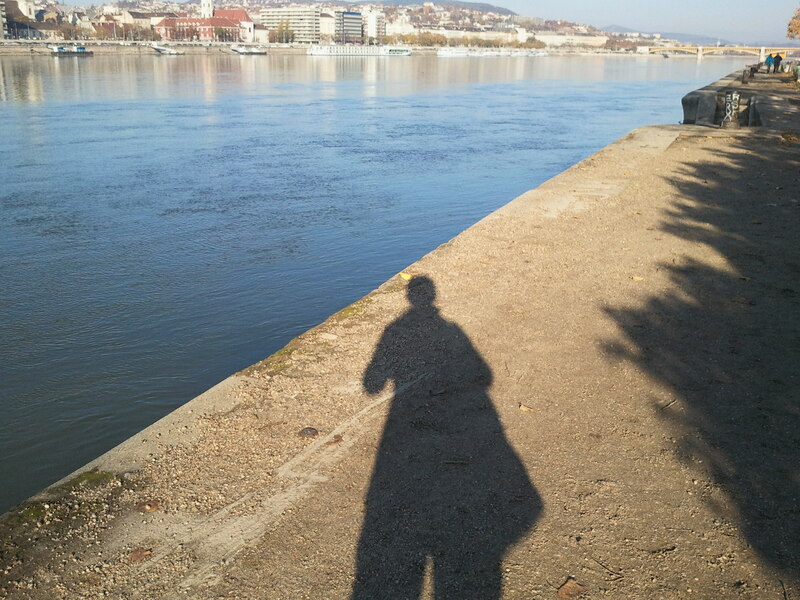 This entry was posted in Cultural Quirks, Loving Life in Budapest and tagged Budapest, Budapest sights, Central Europe, Culture, Eastern Europe, Hungary, Travel. Bookmark the permalink.